The World Foundation has great pleasure in updating you on some of our ongoing projects in Cabella. Enjoy. To work in Cabella School means to dedicate time to deepening my own values, listening to and learning from everyone, young or old, to learn better ways to take up things. A time where thanks to Mother's attention I am lovingly pushed to improve myself in every respect: I seek, I hope with all of my heart, to reach the height of my ascent. I am profoundly thankful to have been able to experience all this. To work in Cabella School is truly an honour and a privilege. Veronica, caregiver. - Volunteers to help with cooking, cleaning, laundry. As many of you know each summer volunteers gather in Daglio, near Cabella, to run wonderful camps for young Sahaja Yogis (8 to 16yrs). 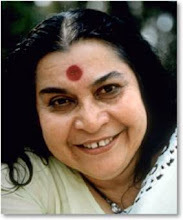 Many children who don't have the opportunity to go to Sahaja schools get to experience collective life, learn about Sahaja Yoga and make new friends. This is an invitation to all those brothers and sisters in the Sahaja Yoga world, to come to ''a green weekend'' in Cabella.